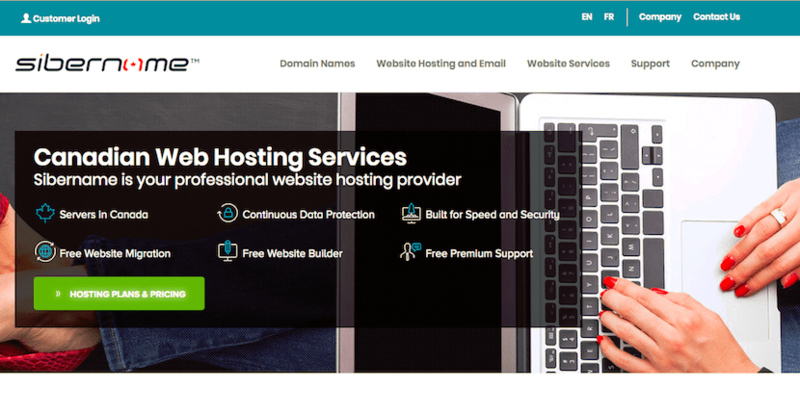 Sibername Review 2019: Is Sibername a Good Hosting? A Canadian-based website hosting provider offering top-quality service. They offer an excellent uptime guarantee, an inclusive package with lots of add-ons, and a decent money-back guarantee. Sibername has been providing website hosting services since 2000. They are a Canadian based company located in Ottawa, with a focus on good customer service. They have servers in three separate locations in Canada, serving over 2,000 customers. Their website and support are available in English and French, which is indicative of their customer base, which is primarily Canadian. Sibername offers a full range of website hosting services from shared website hosting, SSL certificates, Windows website hosting, reseller hosting, email hosting, and domain registration. They also offer website solutions such as website design, paid advertising management, and search engine optimisation. Sibername is a great website host for beginners. Included free of charge with all of their hosting packages is a website builder, provided by Weebly. This builders comes out of the box e-commerce-ready, with the ability to sell online, a drag-and-drop builder, and over 190 ready made website themes. Sibername also offers an excellent one-click installer with over 400 popular programs e.g., WordPress, Joomla, Drupal, and much more. Another great value add-on for beginners is their free one-on-one training sessions via Google Hangouts. Any customer of Sibername is offered free training via video call and assistance setting up their website theme, email accounts, and more. This is one of the only website hosting providers I have seen that goes above and beyond to help their users. While likely not used by more advanced website owners, this is a great feature for beginners and new website owners. Another great feature of Sibername is their 99.9% uptime guarantee. Not only is this a great uptime percentage, they also have a detailed and well advertised service level agreement on the website which outlines the exact policy in the event they don’t meet this uptime. Sibername are more expensive than large North American competitors. However, they clearly provide top-quality service with many valuable add-ons, so the extra monthly fee is certainly worthwhile for a website owner looking for a premium service. They offer a wide variety of contract terms along with a selection of promotions. For example, you can purchase their hosting in one, three, twelve, twenty-four, and thirty-six month terms. The monthly price reduces steeply as you increase the term length. One caveat is that the discount is only applied for the first term, so upon renewal, the full monthly price without discount will be applicable. They also offer free migration, free domain transfer, free domain registration (in all but the cheapest plan), free shared SSL, and a free website builder with all of their packages. These features are often charged an added fee by other providers. What’s more, they also offer a 30-day money-back guarantee. They have email support for both sales and technical available 24/7. They have live chat and telephone support available from 8 a.m. to 8 p.m. for technical, 8 a.m. to 6 p.m. for sales, and 8 a.m. to 4 p.m. for complaints. They promise to return voicemails within two hours at any time of the day. They also have a substantial resource center on their website. I have to say, even when I’ve contacted them at odd times of the day when their live chat was offline, I’ve received a prompt email follow up. I’ve been very impressed with their customer service. Sibername is a well-established provider with many Canadian industry certificates including ICANN Accredited Registrar, CIRA Certified Registrar, and an A+ BBB Accredited Business. Wondering how Sibername stacks up against other Web Hosting companies? Enter any other Web Hosting company and we will give you a side-by-side comparison.